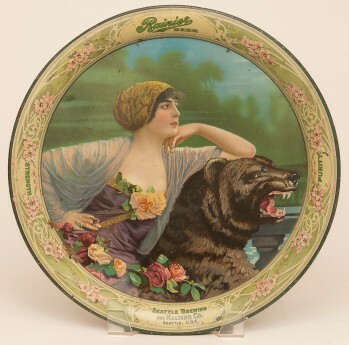 13" pre-pro tin litho advertising tray for Rainier Beer of the Seattle Brewing and Malting Co. 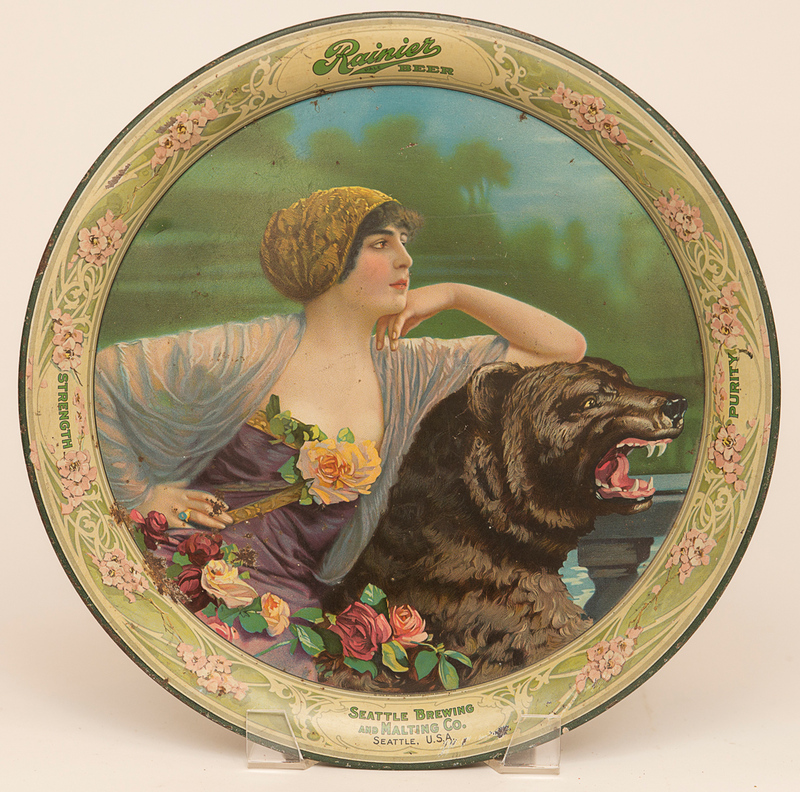 This tray is a stock, but this is probably the most famous brewery known to have used it. Tray is in nice shape with strong colors and no major damage.